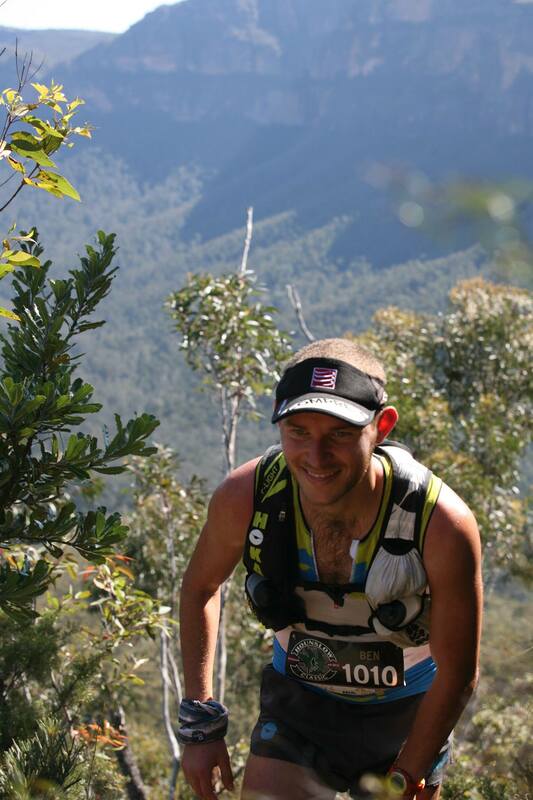 Having run in the TNF100 (now UTA) for the last three consecutive years, pulling out from the 2015 edition due to injury was a tough decision. However, with flights, accommodation, ect. already booked for both my Dad (who was going to be my crew on the day) and myself, we decided to head down anyway to support the event and also hike the Hounslow Classic course. Neither of us had visited this spectacular part of the Blue Mountains before, and we were blown away by the beauty of the majestic cliffs that line the Grose Valley, and ruggedness of the tracks. In a twist of fate, my Dad would later pick up the same injury that I had at the time (plantar facciitis), which resulted in me taking his spot in the Coastal High 50 in my return to ultramarathons for 2015. The 68km course began with a 17km loop, starting off with us making our way out along the top of the cliffs towards Neates Glen. At this early stage, the slight pinches of stairs were hardly noticeable and I ran this section with Eric Holt and Ian Gallagher. Having run the course many times in training, Eric led the way when we began to descend through the rainforest of the Grand Canyon track. The landslide partway down marked the start of a fun little section that led the rest of the way to valley floor and I had a blast following Eric. Ian caught us pretty quickly once we hit the bottom and starting running along the flatter but narrow track that follows the creek to Junction rock. The following climb up Rodriguez Pass started off at quite a runnable grade and Eric, Ian and I all ran together until the track started to steepen (i.e., stairs!) at around the 15km mark. Passing under waterfalls at this stage was both refreshing and a little worrying. I’d never tried descending this section (only ascending), so I wasn’t sure of how slippery the wet rocks and stairs would be on the way back. I put these thoughts at the back of my mind and kept up my steady hands-on-knees hiking all the way to the first aid station at Govetts Leap. After quickly swapping my empty bottles for ones filled with more Tailwind and having a few extra swigs of water, I headed out on the relatively flat section to Pulpit rock and then onto Perry’s Lookdown. I knew the couple of kilometres of dirt road wouldn’t suit my strengths, so I simply tried to keep up a comfortable pace, all the while looking forward the real fun that was about to begin when I started to descend again. The super cheerful and helpful volunteers at the Perry’s aid station had me out of there in flash and I began the longest descent of the day. Usually I don’t feel particularly comfortable descending on stairs but miraculously I actually felt quite coordinated – I’m putting it down to the unevenness of the stairs being more similar to terrain that I’m use to than most other staircases. 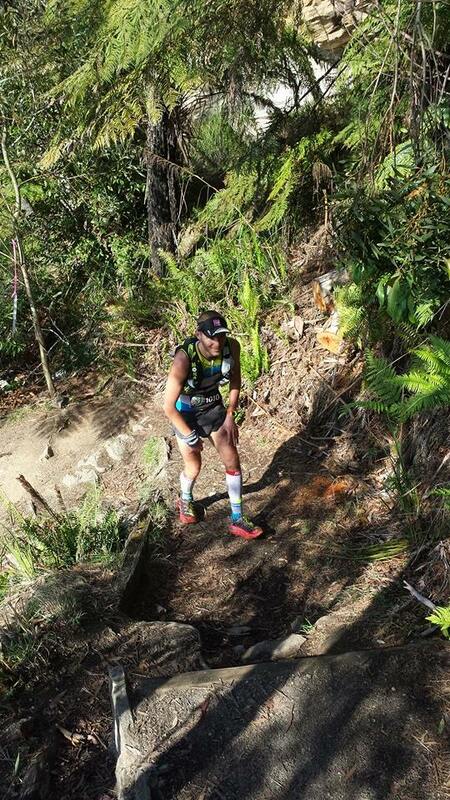 At the bottom the course crossed a large fallen tree across Govetts Creek; while I had told myself I would walk the 20m just to be safe (as there were a couple of meters to fall onto the rocks below), I was too excited by this stage and ran across it anyway. The section between the creek and Lockley’s Pylon was the only climb that didn’t involve many stairs. Instead the course followed a rough single track that eventually lead to scrambly section seemingly carved out of the cliffs. It was a good thing I’d come through months earlier and taken photos already as views at this point were amazing! I was feeling great energy wise, but also starting to feel the heat of the day by the top. Although the run from Lockley’s to Pinnacles Turnaround was quite exposed, the faster running and exposure created enough of a breeze to cool down. Though I was quite thankful for the extra water I’d packed in my dropbag at the turnaround! Heading back along the same track I’d just run gave me the opportunity to see how everyone else’s race was panning out. I could see Eric was about 15min behind me and not far behind him there was a close tussle between Andy Lee (who was looking incredibly strong at this point! ), Tom Brazier and Ian. Beth Cardelli was also having a cracking race and was comfortably in front of Maggie Jones and Lucy Bartholomew (who were also looking strong). The descent from Lockley’s Pylon was the section of the race I’d been looking forward to the most and it did not disappoint. One thing I hadn’t factored in was that this was the point where I would see most of the other runners. At no point was the two-way traffic a problem (despite the narrowness of the track), with everyone jumping to the side of the trails to cheer, creating a wonderful atmosphere. After all the excitement of the descent from Lockley’s, I hit the climb to Perry’s with great enthusiasm. Very soon I could hear this distinct sound of ACDC resonating through the trees and I found the source of the music was Clarke McClymont, who was out on the course taking pictures. His cheers had me feeling great, though by halfway up the climb I started to hit a little bit of rough patch. This was of course, the longest and steepest climb of the course and it was also the warmest part of the day. I’d been told it was meant to rain in the arvo, but it was hot! Being a Queenslander, I’m fairly familiar with running in the heat, so I knew that I just needed to keep on hiking to the aid station, where I would be able to cool off with some water. I figured the faster I got there, the sooner I’d be pouring cold water over myself, so I tried to maintain a reasonable pace. Just as I’d hoped, sculling a bottle of cold water and pouring another one over my head had me feeling great within a kilometre of leaving the Perry’s checkpoint. 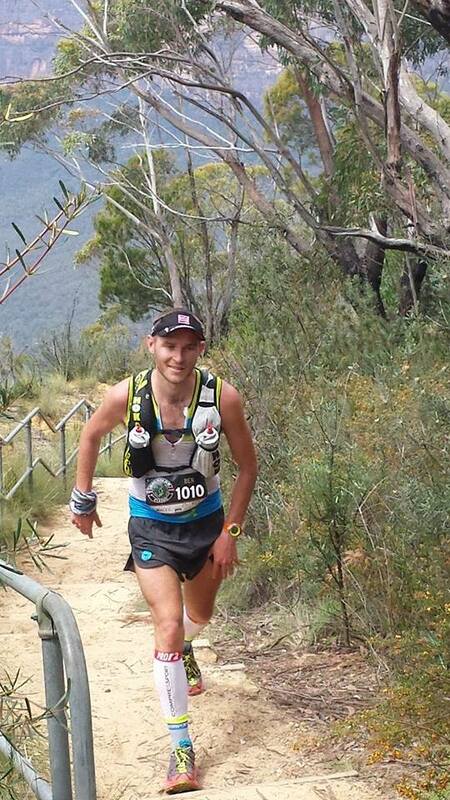 The relatively flat running back to Govett’s Leap also allowed for a bit of recovery. 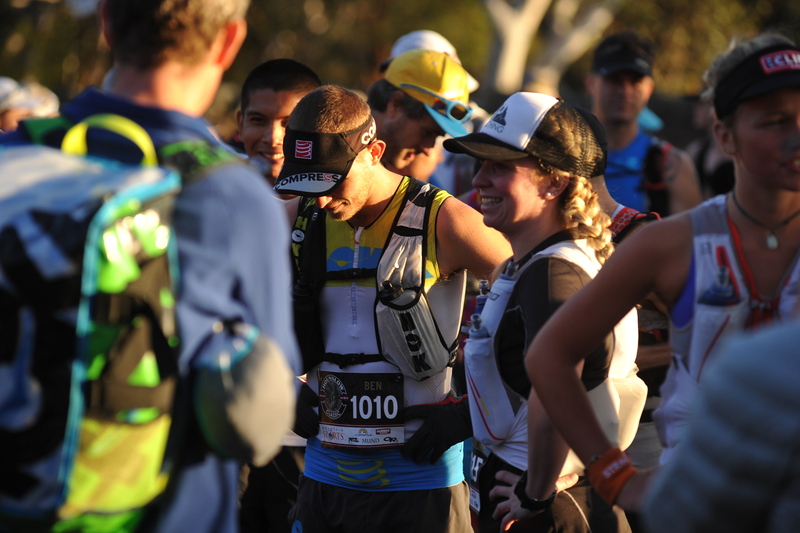 By now I felt like I had entered what I affectionately call my ‘ultra-zone’…it’s hard to describe the feeling precisely (though I’m sure other runners know what I mean). The best I can come up with is that I accept my legs are tired and hurt, but my mind somehow transcends all of this and separates from the emotion of fatigue. It’s a place I love to go to, but only get to go there on rare occasions (usually only after at least 5 hours of racing). After leaving the final aid station, it was time to start the descent of Rodriguez Pass that I’d worried about earlier. I was happy to find that my Hoka Speedgoats gripped well on the wet rock stairs and I could descend confidently. It wasn’t too long before I was on the final climb of the day; this was what I’d been saving myself for! At this point there was a loud crack overhead as the thunderstorm we’d been warned about arrived. This was shortly followed by a steadily increasing flow of rain…at least I wasn’t going to overheat on this ascent! By the time I reached the Neates Glen Checkpoint at the top of the climb it was well and truly pouring, but this hadn’t stopped a few loyal supporters from cheering in the rain! With all of the long climbs behind me I started to really open up…though I swear the couple of sets of stairs that followed were much longer than they were on the way out! 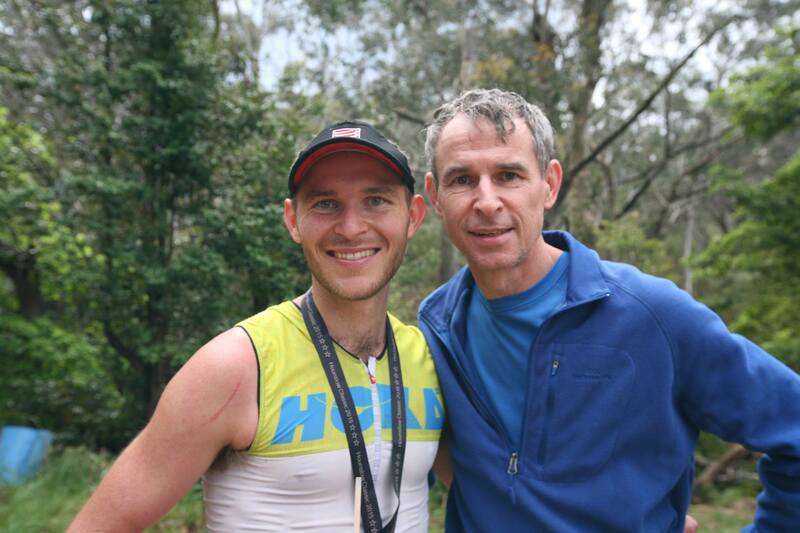 The rain had stopped as I crossed the finish line after 7hr51min of running through beautiful bush. I was so happy that I finished still feeling strong and without having been bothered by any of the injuries that had plagued my last twelve months. 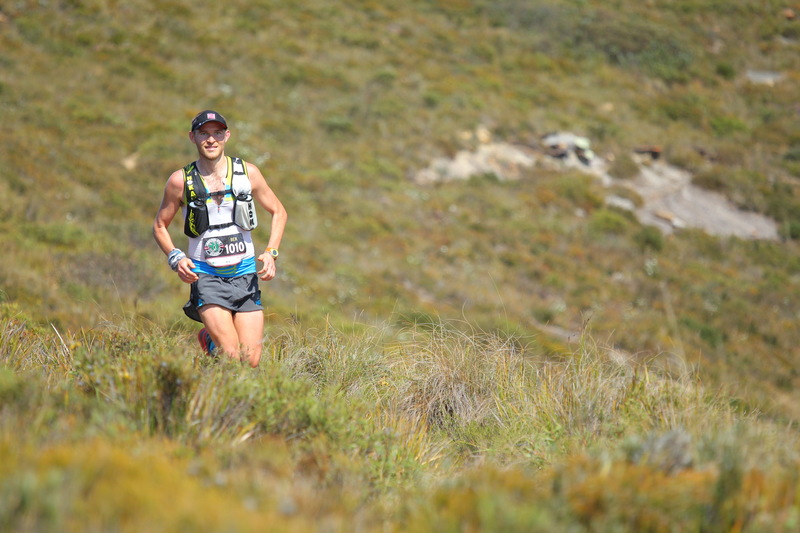 After gulping down several of the delicious smoothies and protein ball on offer from Nutrition Station, Eric Holt came across in second in 8hr38min with Tom Brazier in third in 9hr01min. Beth Cardelli had extended her lead since the turnaround and finished first in 9hr 45min, while Lucy and Maggie continued their tussle all the way to finish line, finishing only 2 minutes apart! 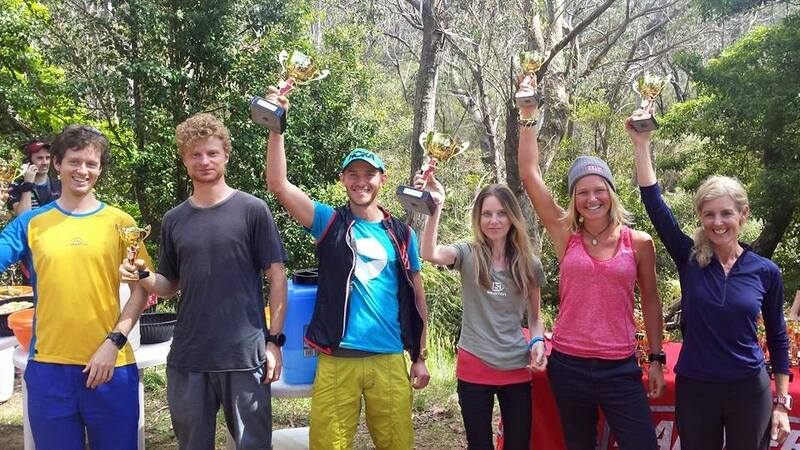 After over a year since my last Sky ultra, I finally feel like I am back in the swing of things and I’m looking forward to running in more of Oceania Skyrunning events. Thank you so much to all those who have done what they could to help make this possible. Without the love and support of my friends and family, advice and treatment from my coach and physio, and Hoka One One and Compressport supplying me with all the best gear to aid recovery, I probably would have gone (even more) insane over the last twelve months!